If there is a suspiciously large, flat, rectangular TV-shaped package under your tree, you may be about to encounter a new decorating dilemma for Christmas. OR maybe you finally caved and purchased one for a family member who wants to watch the Super Bowl in gloriously large detail. You are not alone. Nearly every household these days has more televisions than occupants, and how to integrate them into the décor is always an exercise in creative problem solving. 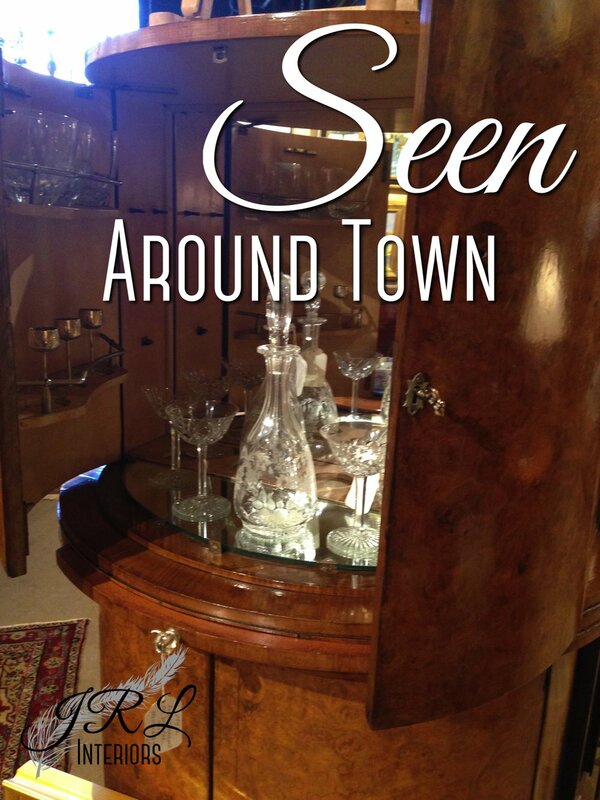 At Antiques on 5, we saw the gorgeous curved antique burl wood cabinet shown above. While this would be a beautiful accent piece in any room, it is also eminently practical with a stunning mirrored bar inside. Furniture that pulls double duty can be a terrific asset anywhere, but it is especially helpful with the current trend toward downsizing into smaller spaces. The shelves in these bookcase cabinets at the Grange Furniture showroom slide to the sides to reveal a media center. What a fabulous way to have a large television without having a huge black rectangle glowering at you when it is not in use - there when you want it, gone when you don't! And for the ultimate in couch potato living, these coffee tables have both storage and sections that lift up to dining/desk height to become a convenient place to eat or work ... a great solution where space for a separate dining room or home office is limited. These are just a few of the great options available to maximize comfort and function in the most beautiful way. 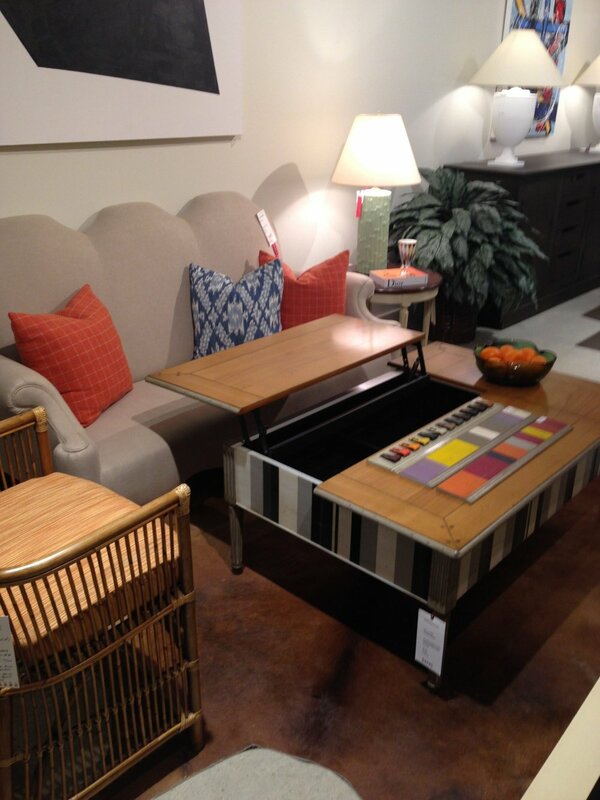 We are loving this furniture with a 'surprise inside'!